2013 Canadian Silver Bison - JUST RELEASED! 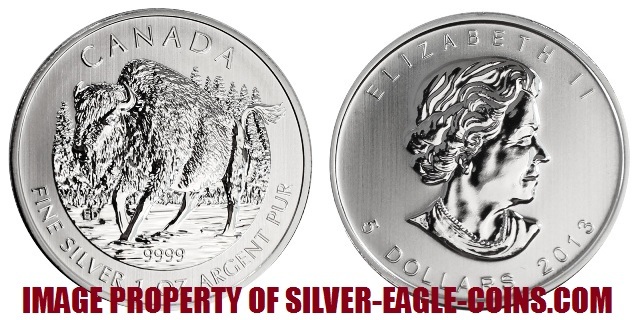 The Silver Eagle Coin Company is pleased to offer brand new 2013 Canadian Silver Bison Coins, just released! The 2013 silver Bison coin is the sixth and final coin released in the Royal Canadian Mint's all-new "Canadian Wildlife Coin Series" program.